Even the title has lens flares. 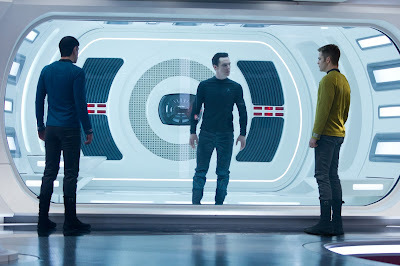 QUESTION: What genre does Star Trek: Into Darkness fall under? Is it sci-fi? Of course it is. 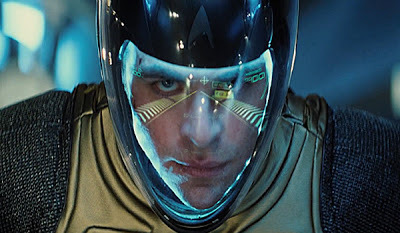 To not call it science fiction would be an insult to Gene Rodenberry. Nothing says "science fiction" like a facial display console. Is it action? Of course it is. Though of course J.J. Abrams does not have the over-the-top flair of Michael Bay. "Isn't this Michael Bay enough for you?" Is it comedy? No, it isn't. 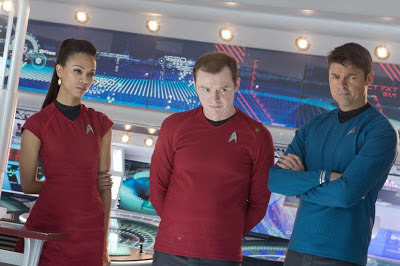 Despite the presence of Simon Pegg, and the funny banter between character pairs. So what then is its genre? The answer: buddy movie. Or as Wikipedia puts it, the "buddy film". The buddies in this film are of course Captain James Tiberius Kirk and the weird half-Vulcan Mr. Spock. 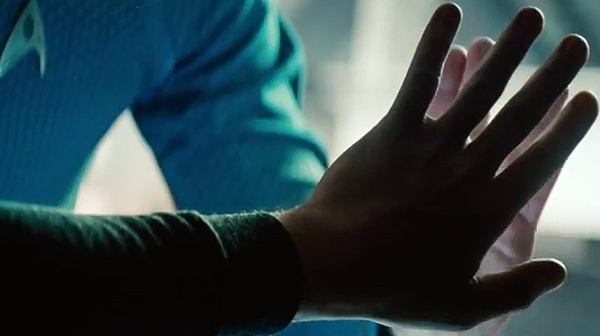 That's not to say that Chris Pine and Zachary Quinto are the stars of this film. 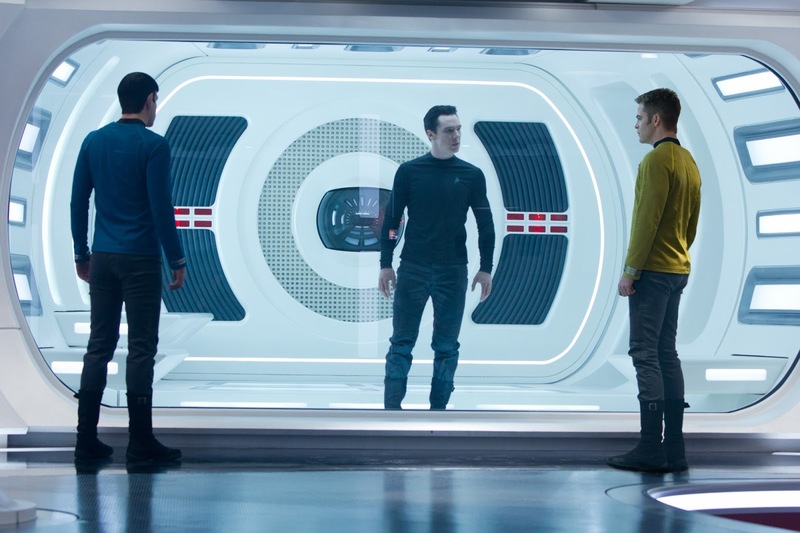 That position belongs to Benedict Cumberbatch. As seen in the poster. If there's one converted 3D flick you're going to watch this year, this has to be it. 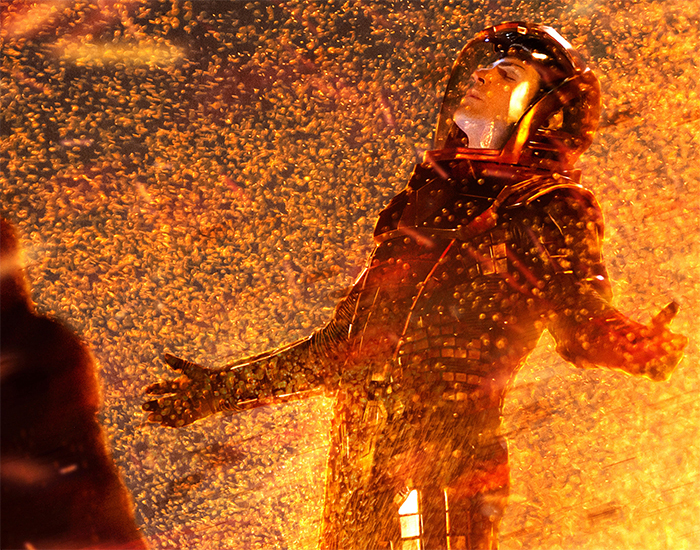 J.J. Abrams pushed the envelope of 3D conversion, creating a truly immersive cinematic experience best viewed in IMAX cinemas (although Into Darkness was neither shot in IMAX nor 3D). 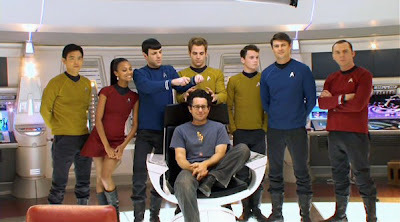 You can also immerse yourself by watching as a Star Trek cosplayer. And for the last part of the review, here's a short lesson on the best way to watch an IMAX film. The secret here lies in your field of vision. When looking directly at the screen, you should not be able to see the theater walls in your periphery. Your entire vision should be filled with nothing but the IMAX screen. And why is that? It's because the point of watching in IMAX in the first place is because it is the most immersive cinematic experience ever. It totally defeats the purpose when one does not drown oneself in the projected image. The movie should be so much bigger, so much larger than life, that the viewers feel like they're insignificant specks in front of the gigantic god that is the movie screen. And in the SM North IMAX theater, with a screen almost ten feet smaller than the one in MOA, you'd do best to sit in the first four rows only. Those rows are prime IMAX real estate. And yet no one sits there. Her abs would've been bigger than your head. 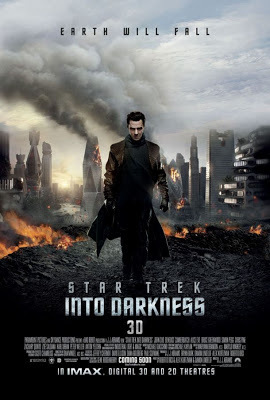 Star Trek: Into Darkness. USA. 2013. Game of Thrones. Season 3, Episode 6: "The Climb"
Elementary. Episode 21: "A Landmark Story"